Is Buying a Used Fiberglass Pool Shell a Good Idea? Yes, people do buy used fiberglass swimming pools. And no, I’m not kidding. How does it happen? In most cases, a ‘used’ fiberglass pool is one that was partially installed, got damaged during the process, and then had to be taken back to the factory for repair (as the repair was too much to do on the job site itself). Also, in a very few cases, fully installed fiberglass pool shells have been removed from the ground in order for the homeowners to install another pool or change the backyard design in general. But because fiberglass shells can last 50+ years, this typically isn't an issue. So you're thinking about doing a DIY and installing a fiberglass pool kit yourself, eh? It's interesting how often we get asked about self-installs here at River Pools. In fact, we usually sell 3–5 of these kits every year to homeowners. That's why I wanted to discuss today some of the problems and considerations that must be made before you simply buy a kit and start digging. How Much and What Type of Gravel Does a Fiberglass Pool Installation Need? Now that gravel has become the accepted standard (over sand) as the backfill and base material used in the fiberglass pool industry, many persons often inquire with our company as to the type of gravel/stone that should be used as well as the amount typically required when installing a fiberglass pool. Can Fiberglass Pools be Built on Fill-Dirt? This article is going to be short and sweet, but it’s the result of a disturbing email I received the other day that made me realize we hadn’t covered the following subject in our blog. The email read: Hi Marcus, my builder says it’s OK to build a fiberglass pool on top of fill dirt, is this true? As you can very well imagine, any pool, whether it’s concrete, vinyl, or fiberglass, needs to be built on solid, undisturbed soil (concrete pools can use pillars, but that’s another article for another day). Why? 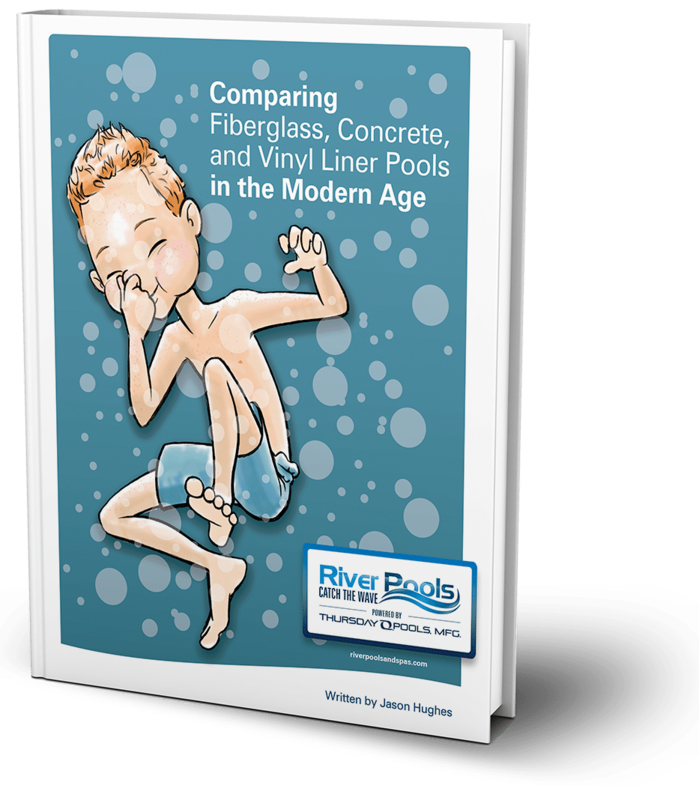 When one looks back on the fiberglass pool industry over the last 25 years or so, it's truly amazing the amount of progress the industry has made as a whole. Upon reflection on these changes, I figured it would be a good thing to look at this time period and mention the innovations that have made their mark on the industry. Yesterday, I had to witness one of the components of being an inground pool installer that really, really bothers me—a recent pool owner had been ripped-off...and in a bad way. But before I relate my sad experience with this pool owner, I need to address a certain point. I've received a decent amount a flack recently from some ‘pool professionals' who don't particularly like the fact that I talk about the good, the bad, and the ugly of the swimming pool industry. When I hear such complaints, I can only shake my head, because the reality is that no swimming pool owner has ever mentioned one negative thing about the fact this blog is so open, honest, and forthright. I've always found in life that if someone is truly honest, then eventually that person will earn the respect of those whom he cares most about. And in this case, the main purpose of this blog, and all the articles found herein, is to help future and current pool owners maximize their experience. One of the biggest factors in the success of a fiberglass pool project is the proper forming and pouring of the concrete patio. The absolute best way to achieve maximum structural integrity, as well as aesthetics, is to use cantilever forms. But as we've talked about many times in this blog, the reality is that many fiberglass pool builders have not yet fully grasped this construction technique. Awesome Fiberglass Pool Installation Video! Many people, especially when debating over whether to install a fiberglass pool themselves or have a professional installer do it for them, are frankly not quite sure of what a proper installation entails. As we have done with so many other videos regarding the swimming pool industry, this video (produced by Jason Hughes) takes all the essential steps of unloading, excavating, setting, plumbing, filling with water, and backfilling a fiberglass pool and rolls it into a concise yet extremely informative and entertaining 10-minute video. Pool shoppers often ask me, "Can I put that pool in myself?" Answering this question can be a slippery slope, but the short answer is yes. But the real question is do you want to put the pool in yourself? There are several reasons that homeowners want to put in their own pools. For some it is the challenge and the reward with knowing that they have accomplished such a task. For others, it is the fact that they want to save money. And then there are those who are in the construction business or have friends that are in the construction business that can help with the process.